I love horror. Movies, comics, games, whatever, doesn't matter, if it wants to give you the willies, I am all about it. The downside of consuming all that terror-based content is that I'm notoriously hard to scare, and so I'm constantly in search of a game that will make me race to turn on the lights. 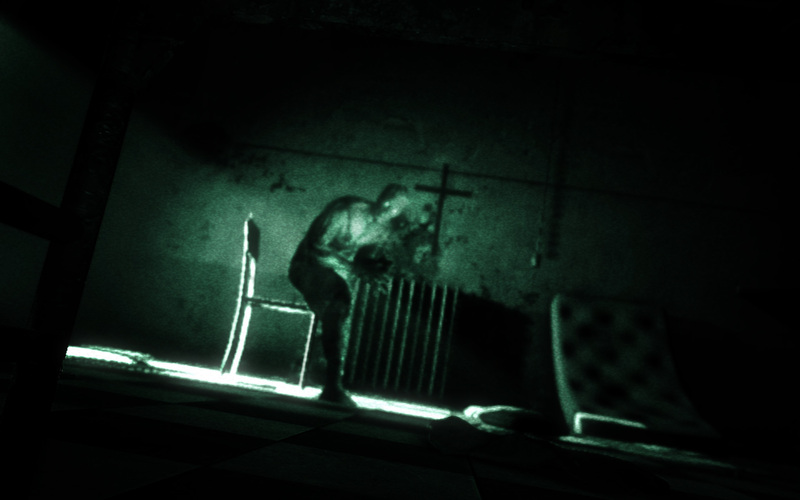 Outlast is one of those games. I jumped three times during the demo, and yelped like a startled Pomeranian more than once. The developers stood behind me and chuckled as I struggled my way through the brief demo. It was glorious. 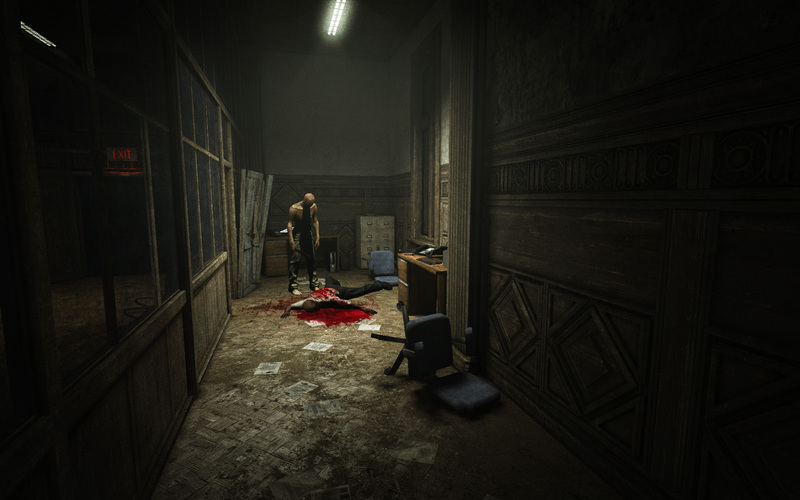 You play as independent journalist Miles Upshur, who's breaking into the Mount Massive Asylum after an anonymous source tips him off that something seriously shady is going on inside. 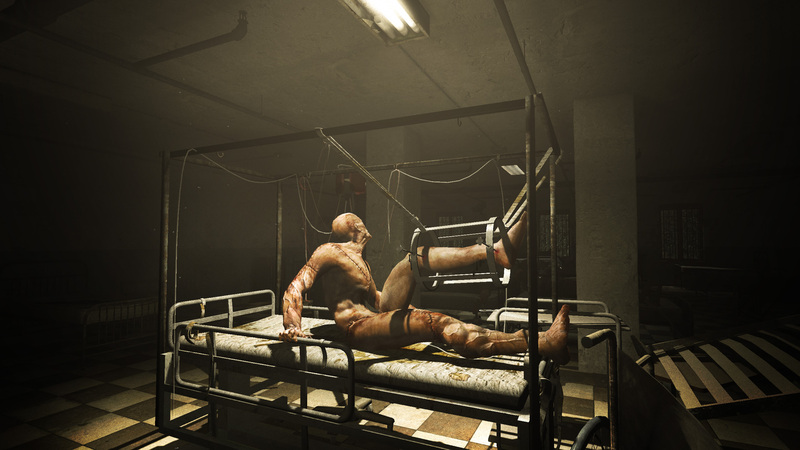 Once a home for the criminally insane, Mount Massive is now a research facility that's curiously chock full of fresh corpses. It's also very short on light sources, which forces you to use up precious battery life by looking through the night vision lens of Miles' camera. Creepiness factor: high. The game makes a point of reminding you that Miles is a journalist, not a fighter, and that running and hiding is his best plan for survival should something dangerous head his way. Sticking up for journalists everywhere...yeah, ok, that's totally true. I investigated a few dark hallways of Mount Massive as the fantastic background did its best to freak me right on out. Once the mysterious groans and gurgles started, I just wanted to find the nearest door out, but the front door is locked, so the only way forward is through the facility's maze-like corridors. 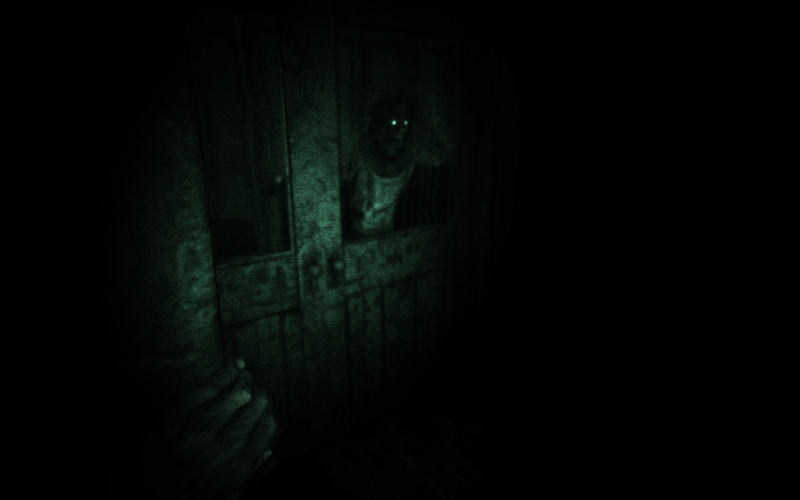 I don't want to say too much about what actually happened, because Outlast is like a horror movie - once you know what's coming, it's much harder to be scared. What I will say is that when I finally took a most unfortunate wrong turn and came face to face with the horror within Mount Massive it was not disappointing. 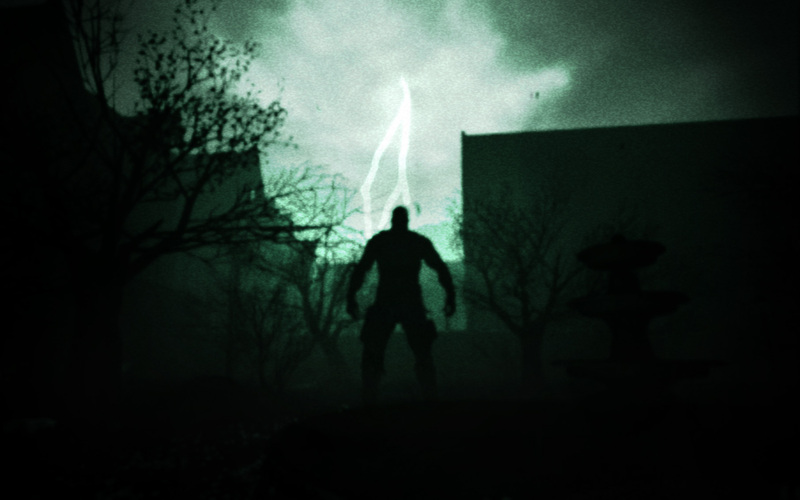 It's tough for horror games to live up to the hype of being "genuinely scary," but Outlast does a great job of it. If you'd like to lose control of your bladder, give it a shot when it comes out on PC in late summer, or a bit later when it comes to PS4. And if you really want to prove you're a badass? Play with the lights off.